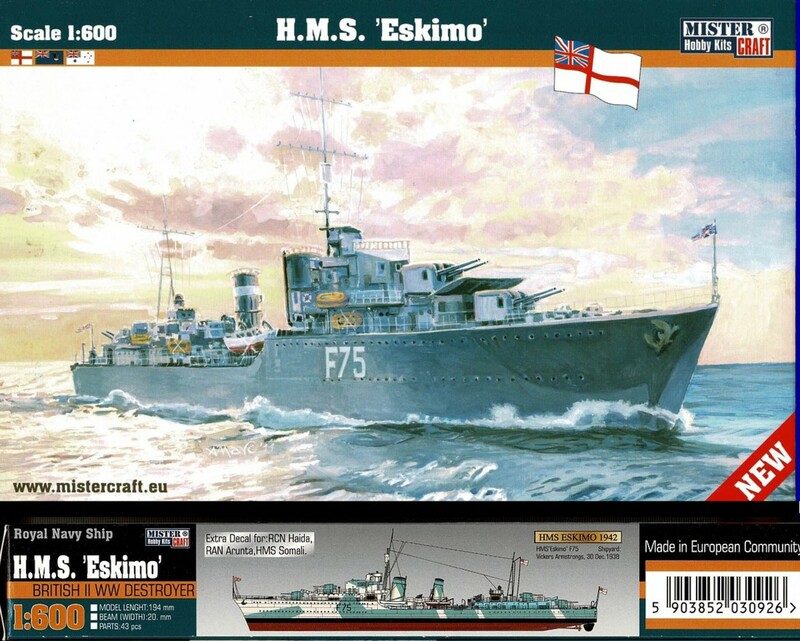 1/600 MISTER-CRAFT Hobby Kits scale plastic construction kit. Full Hull model with stand. 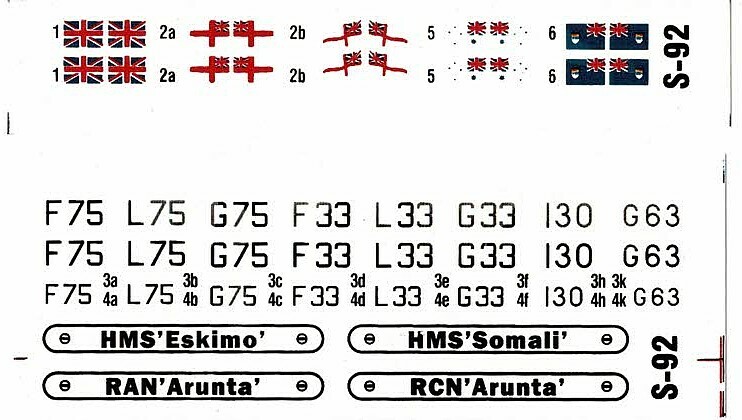 The decal options allow for the ships noted in the title from the Royal Navy, and Royal Australian and Canadian navies. However, they got the name plates wrong in noting RAN Arunta (rather than HMAS) the Haida very wrong at RCN Arunta. Other than that little gaffe, it looks like a nice kit. Requires Assembly. Paint and Glue are not included. This product is not a toy. Contains small parts. Not for children under 3 years old.